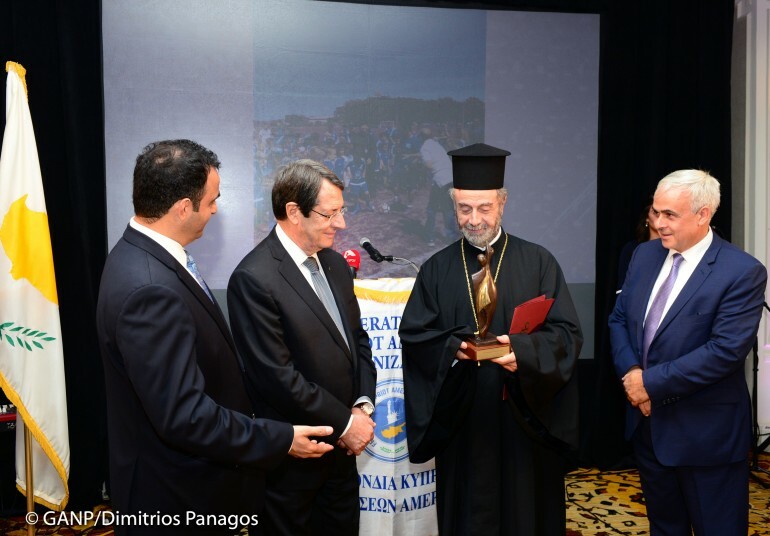 President of the Republic of Cyprus Nicos Anastasiades has highlighted the role of the Cyprus Diaspora in the efforts to reach a just settlement to the Cyprus problem. 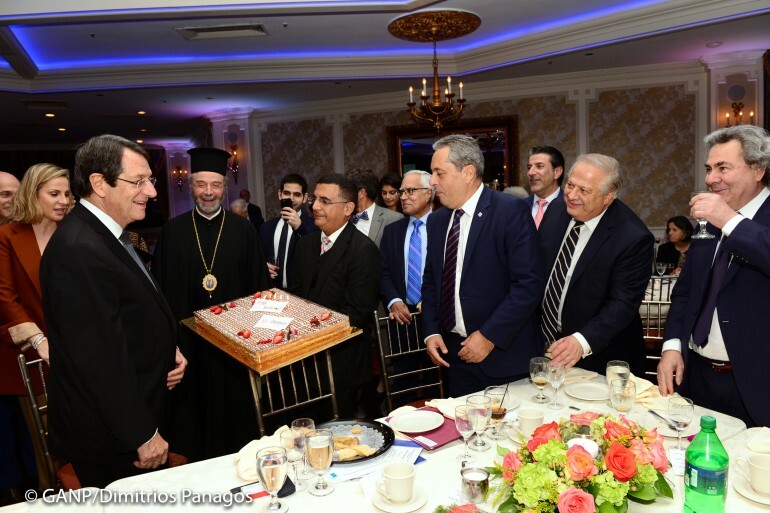 President Anastasiades was in New York for the UN General Assembly and addressed on Thursday the annual dinner of the Federation of Cypriot American Organizations. Dr. Harris Pastides, President of the University of South Carolina, will be honored with the Lifetime Achievement Award, and Bishop Sevastianos of Zela was honored with the Leadership Award. Dr. Harris Pastides was honored in recognition of his leadership, outstanding achievements, and contribution to academia. His Grace Bishop Sevastianos of Zela will was recognized for his leadership and longtime support to the Greek-Cypriot community of America. Foreign Minister of Cyprus Nikos Christodoulides, Government Spokesman Prodromos Prodromou, Vice Minister to the President Vassilis Palmas, DISY party President Averof Neofytou, along with diplomatic representatives of Greece and Cyprus were present at the event that took place at the Terrace on the Park. In his address, President Anastasiades reiterated his steadfast position regarding a solution of the Cyprus problem based on UN resolutions and the EU acquis. He also conveyed a message to the Turkish Cypriots that the EU acquis, the rules and regulations governing the function of the European Union of which Cyprus is a member since 2004, will offer protection to every Cypriot citizen. “We want our Turkish Cypriot fellow citizens to realize that we do not need guarantees and guarantors, we do not need to depend on any third country,” he said. The President of the Republic also said the presence of the Diaspora strengthens his will and determination to prove worthy of the vision of Cypriots living abroad and of the desires of their compatriots in Cyprus. 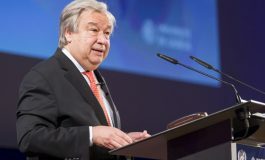 He told Cypriot expats that he is striving to convey to every direction that a viable and functional settlement can only exist if UN principles, UN resolutions and especially the EU aquis are respected. 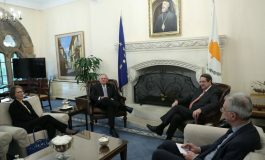 Referring to foreign policy, Anastasiades said that bilateral ties with the US are being strengthened; adding ties with Israel and other countries of the region increase Cyprus’ political clout in spite of its small size. 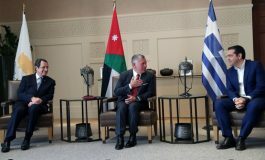 The President noted that Nicosia maintains friendly relations with its EU partners, in addition to retaining its traditional relations with the big powers, such as Russia. The government, he said, since its election has been redefining its foreign policy to render it more effective. Anastasiades also referred to the improvement of the Cypriot economy and the increase in the standard of living and recalled that Cyprus’ sovereign credit rating has been upgraded to investment-grade status. 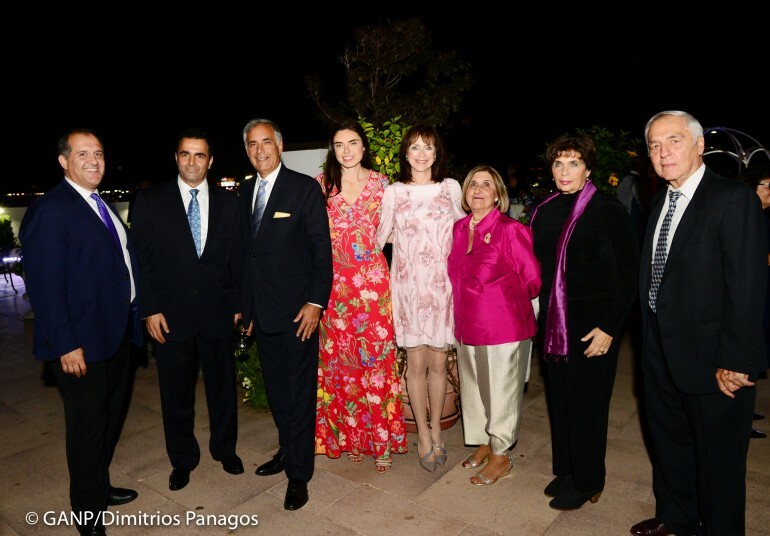 Miss Cyprus USA, Arianna Christou was the MC of the ceremony, while the executive Vice President of the Federation, Nikos Paphitis thanked the sponsors and the dignitaries. The President of the Federation of Cypriot American Organizations Kyriakos Papastylianou thanked all present and the honorees, and especially his board members and the event’s committee for their work. “We at the Federation and our member societies are volunteers, working everyday for our organizations”, he said. PSEKA President Philip Christopher paid tribute to the Cyprus Federation and its struggles for the liberation of Cyprus and the promotion of the Cypriot American Community and Hellenism and called all the members of the Community to keep up the fight until all Cyprus is free from occupation and the Turkish troops. Bishop Sevastianos said he accepted the honor as an expression of love from the Federation and he praised the organizers for their tireless efforts to liberate Cyprus from the occupation and their work to raise their children and teach them to love Cyprus and keep the struggle. The President of the University of South Carolina Harry Pastides said it is an honor to be recognized along with Bishop Sevastianos, a great scholar and ecclesiastical leader, whose family is from Ano Zodia while his from Kato Zodia. He expressed pride for being raised in Astoria and paid tribute to his mother, Anastasia Theodoudou from Kato Varosi and his father Andreas Pastides. He also recognized his sister Barbara, his wife Patricia and his daughter Anastasia who were present at the event and the rest of his family. 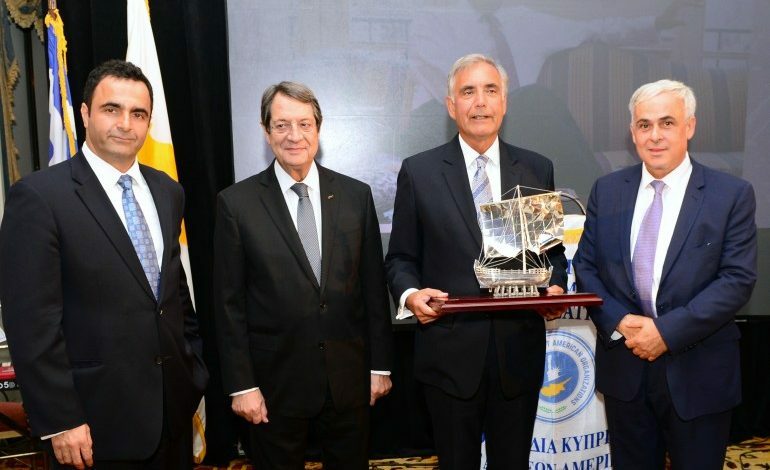 “The whole evening is about family one way or another”, he said, paying tribute to the Cypriots who immigrated to the United States seeking a better future for themselves and their families. He pointed out that this had contributed to the amazing success to Cypriot Americans in business, politics, and in academia. “It’s is through academia and higher education that I have been able to contribute to Cyprus’ progress and will continue to do so.”. 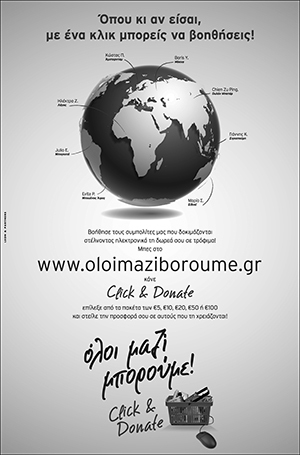 In 2006, Dr Pastides had spent a summer in Summer helping to establish the first cancer registry of Cyprus. Dr Harry Pastides encouraged all to keep advocating for a just solution of the Cyprus problem.